The iPad is unbeatable when it comes to consuming content, but just how good is it for creativity? With an unrivaled app store, iBooks and iLibrary, iTunes, and now Retina display on the fourth-generation iPad for high-def video, kids can (and do!) spend hours drinking in all the iPad has offer. But kids are also known for their imaginations and ingenuity, and kids with iPads are no exception! Check out some of the awesome and impressive creations kids are making with their iPads. 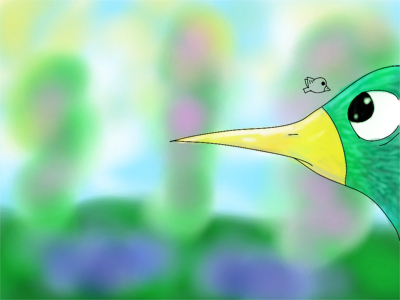 Drawn by 13-year-old Kaeli, this image’s selective focus on the foreground, use of highlighting on the larger bird’s beak and feathers and humor are eye-catching and unforgettable. Not only was this young man able to build his own app in only 12 weeks, he also made the math app both an educational and interactive way for young kids to learn fractions. We’re predicting a long and lucrative programming career in Carson’s future! 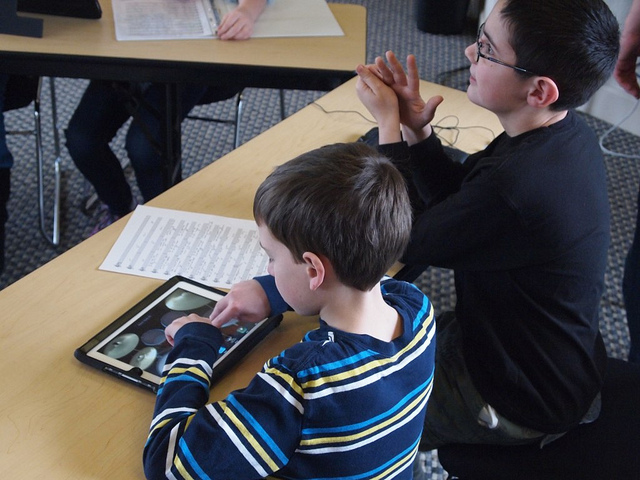 School Projects: The iPad is a great resource for school as well as play. In the past, when kids needed to do a research project or create a video for school, the process was often tedious and time-consuming, and required many different tools for completion. First students would need to research their project at the library and take down notes. These notes would then be typed into a script and printed out to be read from. The kids would need to find and learn how to operate a camcorder, record their video, and then transfer it to a computer to piece it all together. After all that work, the sound and video quality usually wasn’t even very good! Student Animal Project – Avery from Jabari Cain on Vimeo. As the examples above show, iPads have opened the doors of creativity and kids are pushing the boundaries of what the iPad can do every day. These days, there are apps to help children realize nearly anything they can dream up to build, design, or record. To encourage your child’s creativity, listen to their interests, search the app store for simple tools that will give them the building blocks of creation, and let their imaginations run free! What will your kid create next?